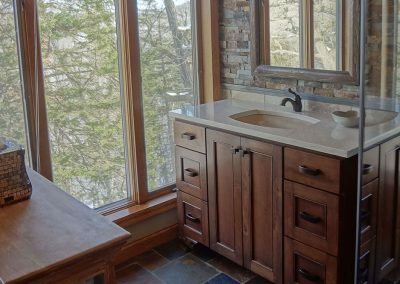 When I received a call from Maureen regarding updating her master bathroom, I had already worked with the two of them redesigning their kitchen and updating their bedroom. 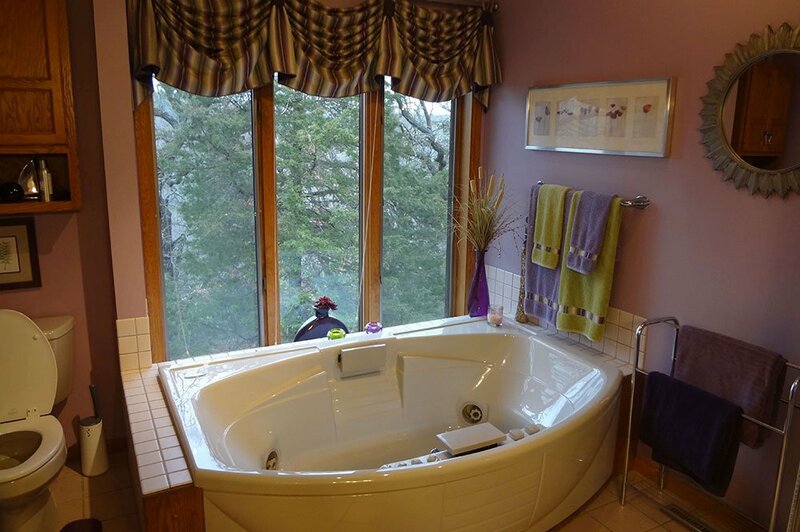 So I was aware of the purple bathroom with the small corner shower, one vanity and a huge jacuzzi tub. 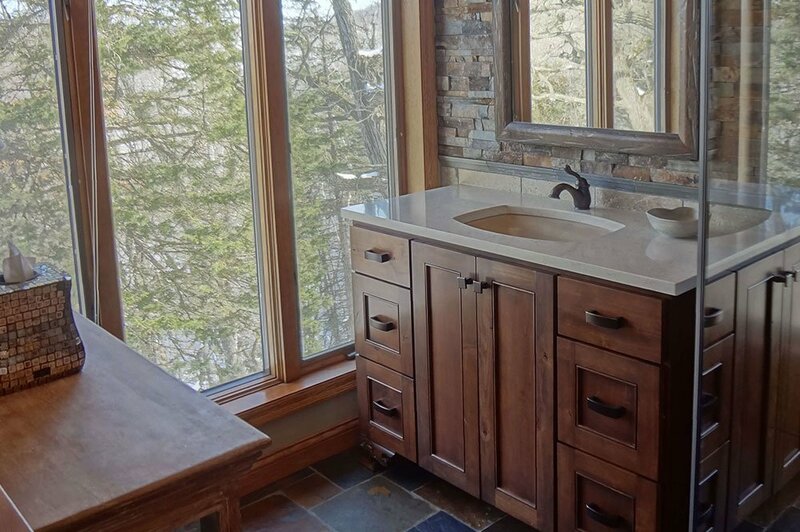 In 8 years they had never used the tub and they wanted to enlarge their shower and add in a two person vanity. Their home is on a beautifully wooded private lot. Views are spectacular from any window. 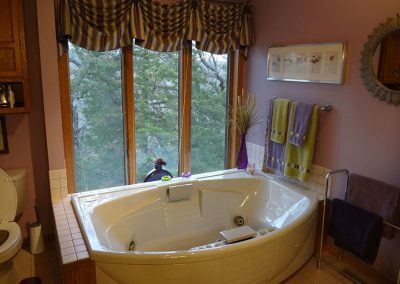 So I was excited to get the tub out of there and make use of this window while integrating the space better with the environment. 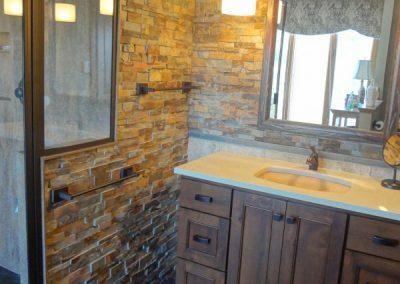 Removing the existing vanity and tub allowed me to double the size of the shower and add the extra vanity. I brought in a narrow console that serves as additional linen storage. The purple had to go. I used natural shades of blue, green, and brown. 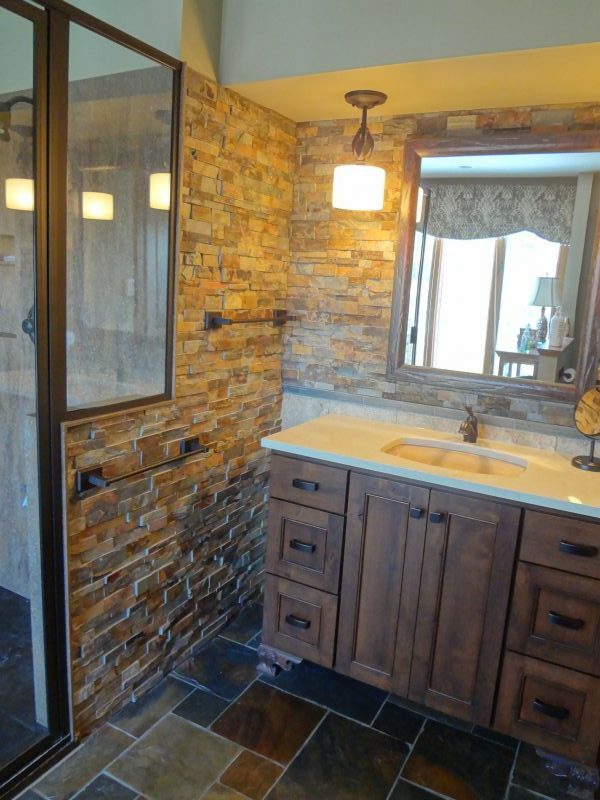 The use of slate on the floor and walls helped bring the outdoors in. All of the colors were muted and soft. In creating a low maintenance shower, we went with a cement floor in the shower, textured to prevent any slippage and 1cm sheets of quartz on the walls. No grout. With all the angles in the room, I created a valance to soften the large window that that they could walk up to view the backyard and the abundance of wildlife walking past.